This is an easy-to-make side dish for any time of year, but right now, during the holidays…it’s especially filling and comforting! I’ve made Acorn Squash as a side dish for my hubby in the past, but just by simply halving the squash and digging out the seeds. Then adding (too much) butter and brown sugar before baking for an hour…so I wanted to find a recipe that is healthier and frankly, easier! This is it! 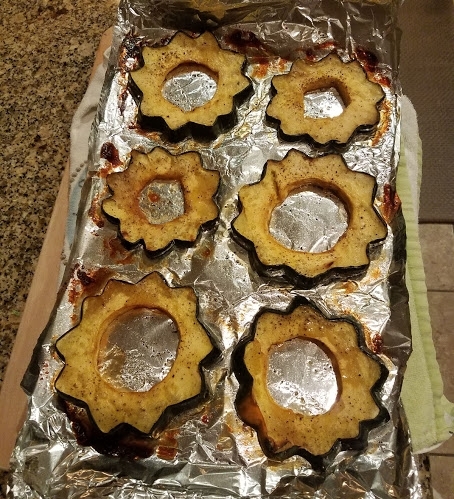 After reading that boiling or steaming squash actually lessens the vitamin and mineral load, I determined to make it only by baking or broiling in the oven to preserve the wonderful amount of Vitamin A, C & B-6 as well as folate, niacin, potassium, magnesium found in it! Oh and did ya know that just a 1/2 cup serving (that’s only about 1-2 rings!) is almost 20% of your daily fiber needs? This is such a tasty way to knock out your fiber quota! 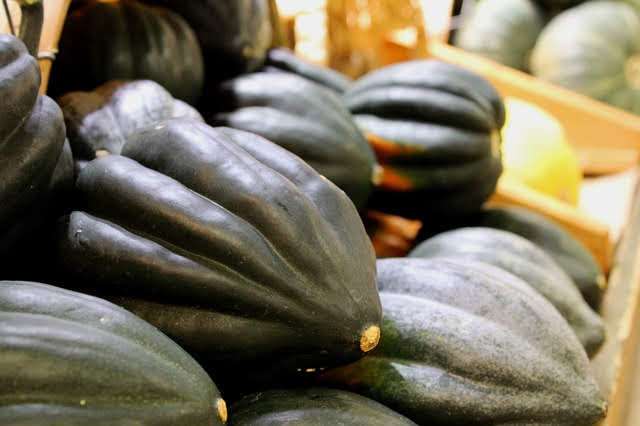 Another cool fact - when we combine fibrous vegetables like squash, potatoes (especially sweet!) and a healthy fat like olive oil and then cook them together, it’s actually proven to help the body break down and digest the nutrients more effectively! Super cool, right? Cuz of course it tastes better this way, too! Preheat oven to 425 degrees. Place a sheet of aluminum foil over a cookie pan. You should get about 6 slices from a small, 8 from a medium or even up to 10 from a large squash! Lay the slices on the cookie sheet, then drizzle the oil and maple syrup over each slice. Lightly crack the pepper and grind the salt over each slice. OK now it’s your turn to try it and tell us what you think! Can’t wait for you to bake a batch of these for your loves, then come back and tell us how they turned out! Comment below with your experience!